Structured data is nothing but an organised format which provides information and data about a webpage. With the help of structured data, search engines like Google are able to understand the content of the page. They collate information which can help in improving your business search result listings. Structured data is coded directly on to the webpage’s HTML markup. It is an important signal to make your website visible within search features. This structured data is used by Google to generate rich snippets. Snippets are small pieces of information which are reflected in search results. Basically it is the extra information displayed along with the main content. For example: If you search for a particular store in your area, the search will not only display the store’s name but also reflect details of its location, working hours, ratings etc. Schema.org vocabulary is used by most of the structured data searches. However for Google search, the documentation on developers.Google.com is recommended. At the time of developing these mark-ups, one must include all the details for an object to make it suitable for display in Google search. The created structured data can be tested using the Structured Data Testing tool during its progress. One can use the Search Console Structured Data report after deployment, to determine the appropriateness of your webpages. Google’s Structured Data Markup Helper is one of the most useful free tools which can help you work on your structured data. This markup tool helps in improving Google’s understanding of your page. It also helps in incorporation of the content into the knowledge graph panels for increasing your business’s reach online. Officially google says that it does not use any markup for deciding the ranking on their page. However a study by Searchmetrics.com has shown that domains which has schema integrated rank at least 4 positions higher as compared to domains which are not schema integrated. A higher ranking for any website mean a higher sale prospect, resulting in higher revenue. Though schema is presently not one of the ranking factors, it still does have some impact on the position. The reason can be Google’s algorithm or a general benefit of having a better-optimised site. Addition of snippets in your website’s result indicates that you will be able to take up better space in SERPs as compared to your competitors. This will result in an increase in your click-through rate. An increase in traffic thanks to a better CTR will automatically have an influence on your SERP rankings. If your search result displays rich snippets, the search can be easily converted into a sale, as the users would have already accessed enough information to purchase your product/service, without even visiting your website. 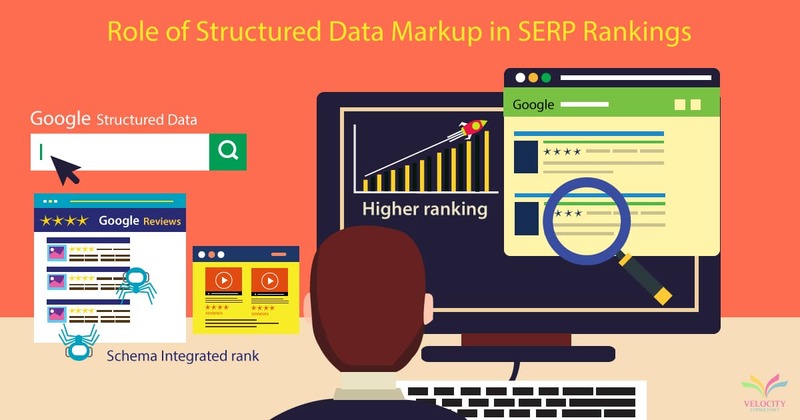 Structured data helps in communicating with search engines regarding your content. This is beneficial for all including you, the visitor and Google. Effective use of structured data into your webpage directly impacts the site’s ranking in search engines. Therefore it is highly recommended to embed structured mark-up data into the webpage.